Ok, as you know I work with ZFS, DRAID, Erasure Coding… and Cold Storage. I work with big disks, SAS, SSD, and NVMe. Sometimes I need to conduct some tests that involve filling completely to 100% the pool. That’s very slow having to fill 14TB drives, with Servers with 60, 90 and 104 drives, for obvious reasons. So here is a handy script for partitioning those drives with a small partition, then you use the small partition for creating a pool that will fill faster. If your drives had a previous partition this script will detect them, and will use only the drives with wwn identifier. Warning: some M.2 booting drives have wwn where others don’t. Use with caution. 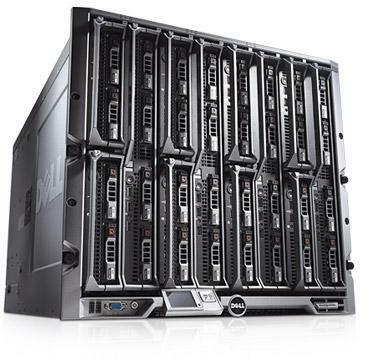 This entry was posted in NAS, Operations, Storage, Troubleshoot and tagged Bash, fdisk, partition, ZFS on 2019-04-18 by Carles Mateo. ZFS has a performance problem with the zvol volumes. Even using a ZIL you will experience low speed when writing to a zvol through the Network. Even locally, if you format a zvol, for example with ext4, and mount locally, you will see that the speed is several times slower than the native ZFS filesystem. zvol volumes are nice as they support snapshots and clone (from the snapshot), however too slow. Using a pool with Spinning Drives and two SSD SLOG devices in mirror, with a 40Gbps Mellanox NIC accessing a zvol via iSCSI, with ext4, from the iSCSI Initiator, you can be copying Data at 70 MB/s, so not even saturating the 1Gbps. The trick to speed up this consist into instead of using zvols, creating a file in the ZFS File System, and directly share it through iSCSI. This will give 4 times more speed, so instead of 70MB/s you would get 280MB/s. This entry was posted in NAS, Performance, Storage and tagged iSCSI, ZFS, zvol on 2018-10-19 by Carles Mateo.